OmniROM Oreo based on Android 8.1 is now available to download for many devices. It’s been a couple of quarter and many devices are getting OmniROM Oreo support now. 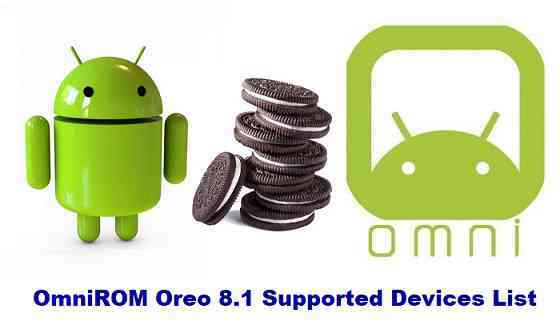 Here is a list of supported OmniROM devices available OFFICIALLY and UNOFFICIALLY. OmniROM is one of the popular ROMs after the LineageOS ROM (earlier known as CyanogenMod) among Android Custom ROM developers and Custom ROM users. The OmniROM is based on Android Open Source Project (AOSP) codebase. OmniROM follows the straight forward versioning number as Android unlike the LineageOS or OmniROM custom ROM. OmniROM 8.1 corresponds to Android 8.1 update. Simple as that. OmniROM is our Android custom ROM variant, feature-packed but always with stability as #1 priority in mind. As always the OmniROM Oreo ROM does not come with pre-installed GApps (Google Applications) because of Copyright issues, so, you need an extra Oreo 8.1 GApps to be installed via a custom recovery. Also, this OmniROM Oreo ROM does not come with built-in ROOT binary, hence you need the supersu ROOT binary to be installed after installing the OmniROM Android Oreo 8.1 ROM. Hi, I have a Teclast 16 Power Tablet and I was wondering if it was possible to upgrade it to a newer version of android (currently I have Android 6.0) or install a custom rom. I await your news, I would be grateful.